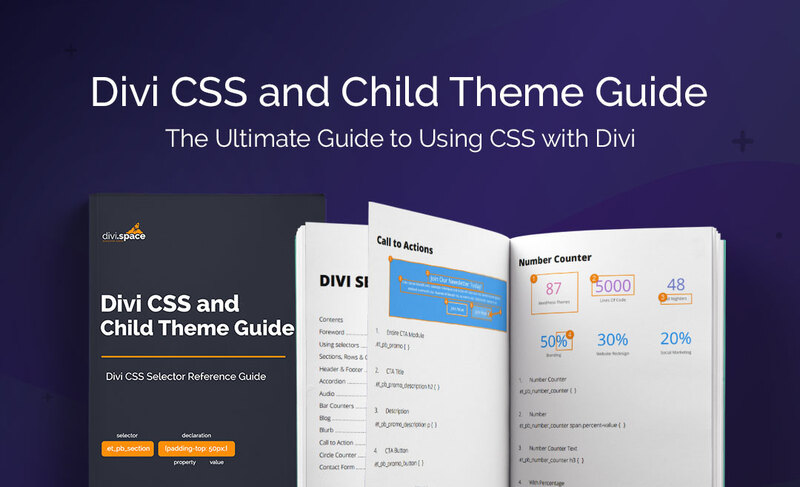 The ultimate guide to using CSS and Child Themes with Divi. 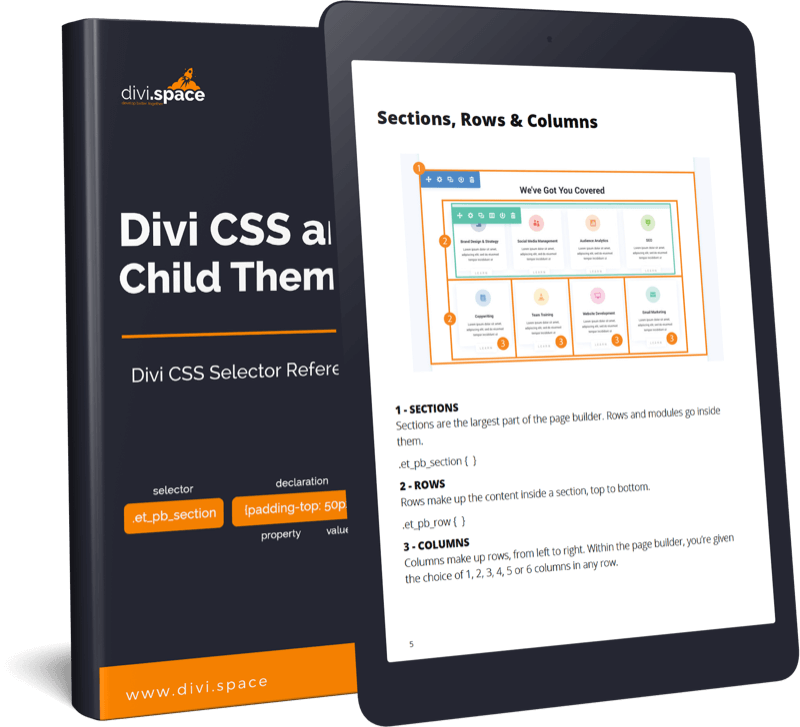 With this guide, you’ll never have to go searching for the right CSS selector to use with Divi or Divi Page Builder again. Everything you need is right here at your fingertips, which means you’ll save a ton of time when customizing your Divi websites. 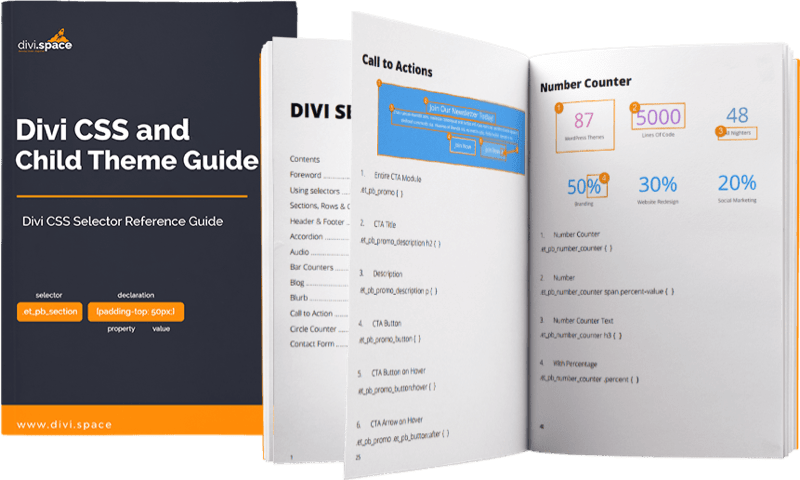 And if you’ve been thinking about diving into CSS, or you’d simply like to have more control over the design and functionality of the pages you build with Divi, this is the ebook you’ve been waiting for. With a super-helpful beginner’s introduction to CSS and child themes, it’ll take you right from step 1 to using CSS like a pro in no time. Target any Element With Ease! No more being boxed in by Divi’s standard features. 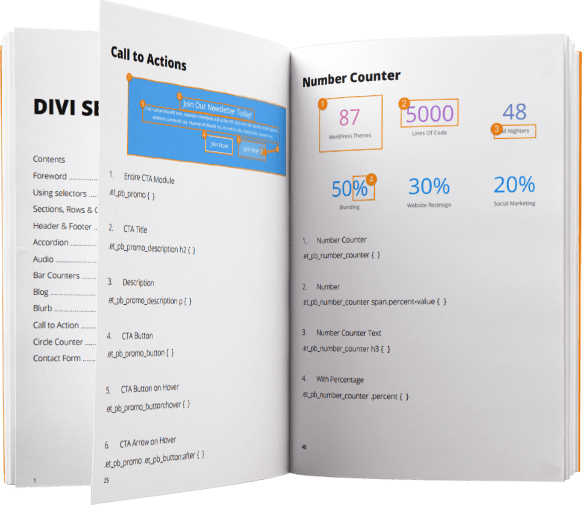 The CSS selectors listed in this 130-page eBook and the accompanying how-to guide make it possible for anybody to customize web page design and functionality within Divi. All at Divi Space, thanks so much for this eBook, it is awesome informative and best of all I’ve been looking at delving more into CSS and this guide has everything I need to get better at it and incorporate it into my Divi layouts. Thanks so much again for this.